From little acorns.... Acorn Industrial Services Ltd is making a £1.25m investment in new premises in Hellaby, Rotherham. The Masbrough company is one of the largest power transmission distributors in the country and supplies bearings, power transmissions and linear systems to a global customer base. The company's success has led to its expansion into three separate warehouses – still a tight squeeze for its 38,000 product lines and 80-strong team of office and warehouse staff. A £700,000 injection of funding from Barclays has enabled the £18m turnover business to purchase new 40,000 sq ft premises – twice the size of the existing sites combined and more than capable of housing the company's £4m worth of stock alongside all head office functions. Acorn is also investing a further £250,000 of its own capital in refurbishing and refitting the Denby Way building that was previously home to bus manufacturer, Optare. Martin Povey, financial director at Acorn, said: "The company has achieved year on year growth for the last ten years. We're absolutely delighted with the new premises and the funding injection means we have the luxury of refurbishing the offices and warehousing to exactly the right specification before moving in. "The new premises are more conveniently located for national and international distribution channels, enabling us to fulfil orders even more effectively, and doubling our space will literally open the door to further growth, increases in stock lines and more new jobs for local people." Richard Smith, partner at hlw Keeble Hawson, who advised Acorn on the deal, added: "Acorn is one of the region's success stories. It's very rewarding to be involved in its "journey" and we're delighted that the company will soon have the facilities to support its ambitious development plans." Pete Wilmer, relationship director at Barclays, added: "Acorn and its management continue to outperform expectations which is testament to their hard work. 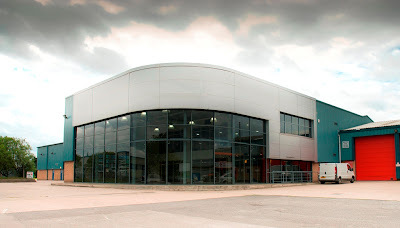 This move to new premises will not only deliver operational efficiencies but provide a platform for ongoing gowth which we are delighted to have been able to support - and by utilising the National Loan Guarantee Scheme have been able to provide a cashback element to help support the relocation costs."